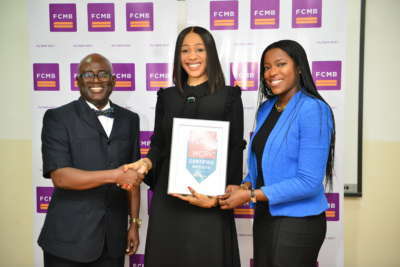 First City Monument Bank (FCMB) announced today that it has been certified as a great place to work by the independent analysts at Great Place to Work Institute, a global research firm, which produces the Fortune 100 Best Companies to Work For list and other top employer rankings. 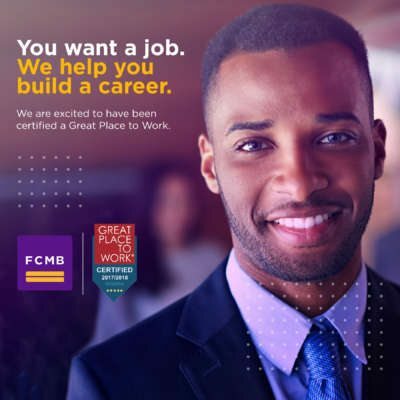 Great Place to Work surveys were sent to a random cross section of FCMB employees, and 84% agreed that the Bank is a great workplace, with majority saying they take pride in working for the organization. 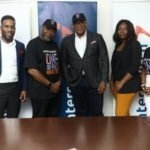 The certificate was presented to FCMB by GPTW Institute Africa at a ceremony on February 27, 2018 in Lagos. have remained key priorities for us’’. Also speaking at the certificate presentation ceremony, the Senior Vice President and Divisional Head, Corporate Services, FCMB, Felicia Obozuwa, added that, “we want our employees to love working here, so we try to create the type of work environment that positively impacts our employees’ personal and professional lives. When looking for a company to work for, we have found that it is not all about salary anymore. People want to know that their work is valued, the opportunities for upward mobility, the training made available to learn new skills, they want to know that you have a strong supportive culture, their work will be challenging, and they will work with supervisors that motivate and inspire them. These are the areas we have focused our attention on over the years’’. She further stated that, ‘’FCMB employees are the most dedicated, smart and hardworking. So, we support our people by creating an inclusive, respectful, high performance culture, bringing different perspective to bear, and making everyone feel valued’’. GPTW institute is a Global research firm that assess companies, based on a trust index survey (employees’ opinion about the workplace) and culture audit (management policies and practices), with the overall objective to promote excellence in the work place. The Institute operates in 50 countries, including Nigeria. 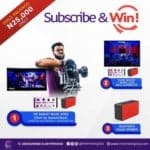 The certification of FCMB as a Great Place To Work follows an assessment exercise and an independent survey carried out by the Institute last year. The independent analysts looked in-depth at the Bank’s operation and found key strength in many areas. 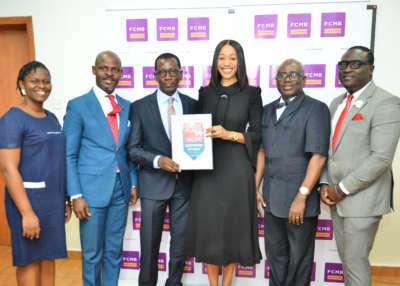 The survey showed that majority of FCMB’s employees took pride in their work and valued its supportive atmosphere, rewards and challenges associated with being part of the organisation. 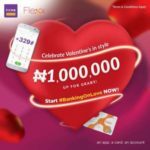 Among other parameters employees of FCMB rated the Bank highly in, include work-life balance, training and development, and celebration of good work. The employee survey responses revealed how well the Bank balances the needs of its diverse workforce, such as career management through a self-service career portal, mentoring programmes, talent development programmes, professional development opportunities, good medical support, employee health week providing nutrition advice, free health checks at branches etc, telephone counselling services for personal issues, and policies/benefits to reduce the financial burden on expectant and nursing mothers, newly married employees, bereaved employees, and children education grants for long serving employees. 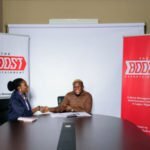 On his part, Mr Michael Tosin Oni, a Director at GPTW Nigeria explained that the Certificate was instituted to promote human capital development. 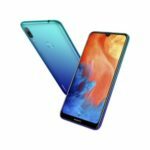 workplace, including the honesty and quality of communication by managers, degree of support for employees personal and professional lives and the authenticity of relationships with colleagues. 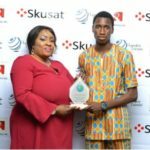 While expressing appreciation for the recognition, Felicia Obozuwa stressed that, ‘’getting this certification for 2017/2018 is a step in our journey to build a great workplace culture that attracts and retains talent. Our goal is to make FCMB a truly Great Place to Work for every single employee that puts in their best here’’.